Pricespotter is Curbed's guessing game. This week, please guess the asking price of this home. What: A three-bedroom, two-bath 1956 home on Shadow Island Drive in Shadow Hills/Sunland. 91040 zip code. Size: 2,073 square feet on nearly half an acre. 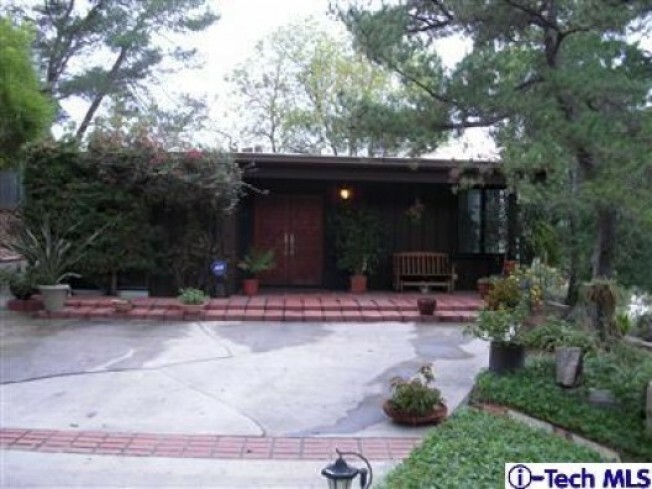 More details: "Privacy and Peaceful Views abound in this Lovely Light and Bright Mid Century Shadow Hills home! Offering three bedrooms, convertible den(could be fourth bedroom or office), open kitchen with pantry & eating area, open dining and family room with fireplace. Extra large laundry/utility room...room for horses in back at rear of lot (buyer to investigate)." Listed two days ago.